18" Vintage Christmas Tree $120.00 18" Christmas tree with separate base. Comes with light kit, colorful plastic mini lights, and yellow star tree topper. You will be called when your tree is in stock and ready for you to paint. These popular, vintage trees sell out fast, so get yours ordered today! These make great, one of a kind pieces to pass down for generations to come. All trees come with a light kit, colorful plastic mini lights, and yellow star tree topper. Once we receive your order, we will call you when your tree is available. 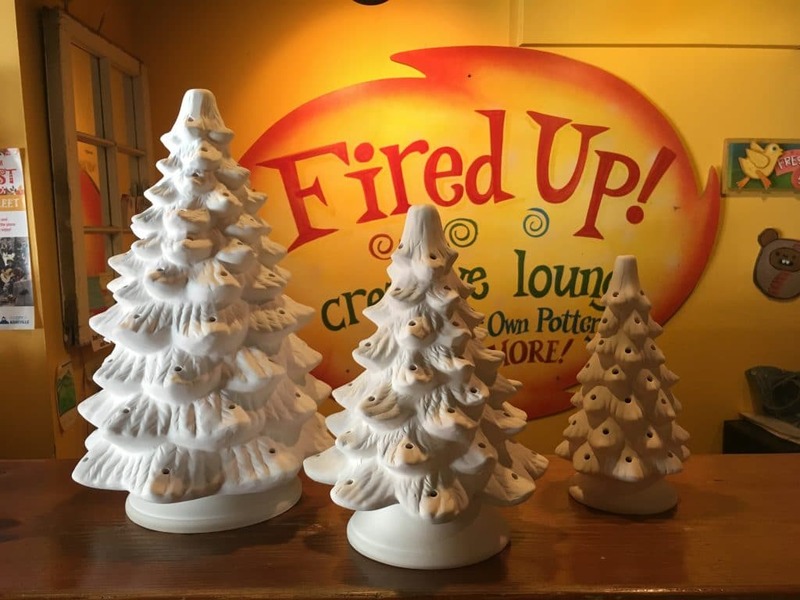 Trees will be held at Fired Up location of your choice for you to paint.